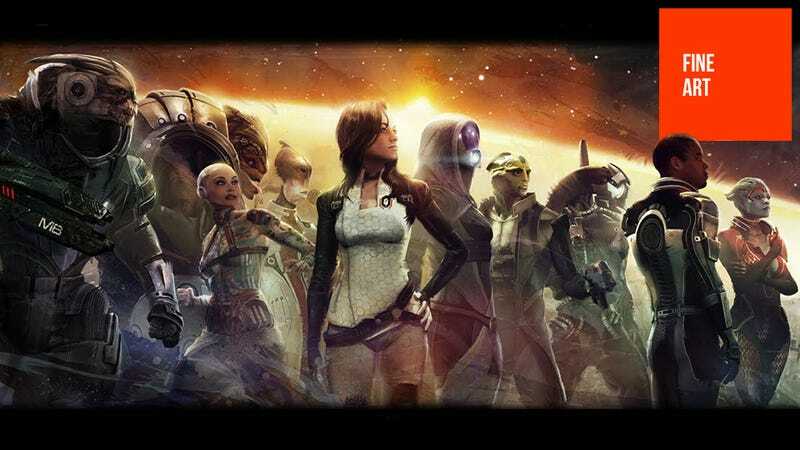 The images you're about to see were all done by Benjamin Huen, an artist now at Valve who used to work at BioWare. They're incredible. Especially the Mass Effect portrait pieces, which you'd demand be made available for purchase, if some of them weren't...already available for purchase. Also included in today's gallery are Benjamin's Dragon Age works, as well as a scattering of personal stuff as well. So, yes, those who saw those "movie posters" the other day here, know that this is the guy who actually drew most of the images, and that while you can't buy them as "movie posters", many of them are available for purchase! If you like what you see, there's more of his work on his personal site and his CGHub page.